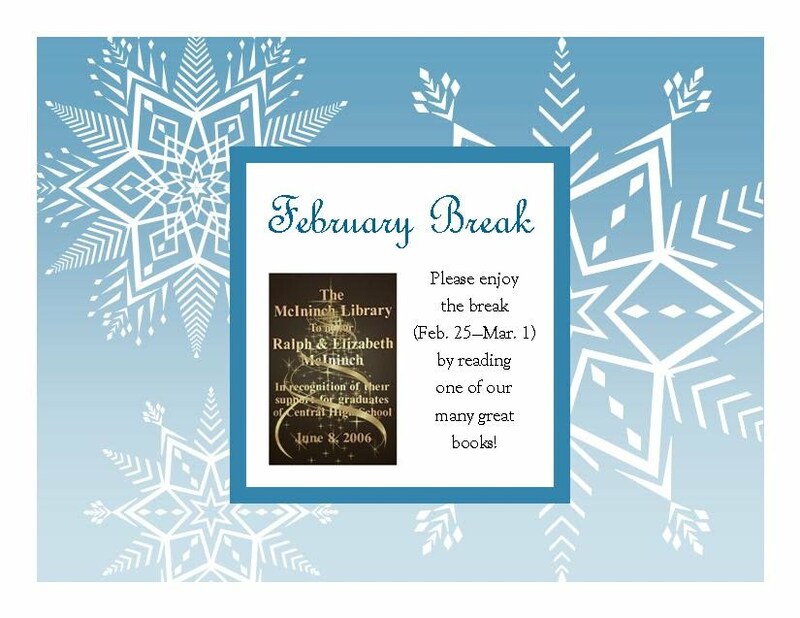 The Manchester School District, on February 19, 2019, announced a ‘February Break Reading Challenge’. The program will run from February 23, 2019 - March 3, 2019. Our District is always looking for ways to encourage all students to read outside the classroom. During the February vacation from school, each Central High School student has a reading/writing assignment specific to the content of his or her English course during the break. If you are unsure what you should be reading, please ask your English teacher for help. Whenever you might have some extra down time, district leadership feels that is a perfect time for picking up a book. Please feel free to stop by our McIninch Library at Central High School before break. Check out a couple of free-read books to take home and enjoy during the break. We never charge a late fee for overdue books. Finally, all Manchester students are encouraged to visit the Manchester City Library on Pine Street, to register for a library card if they don't already have one, and to attend any of the scheduled events at the library https://www.manchester.lib.nh.us/ during February break.